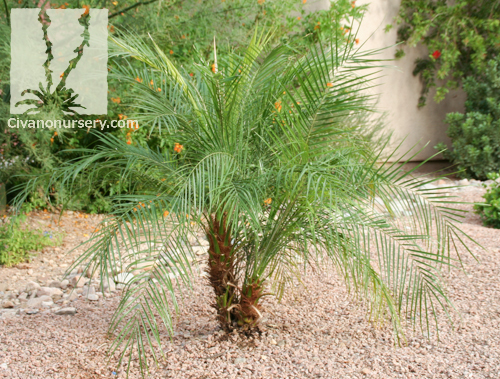 Pygmy Date Palm is a small, often multi-trunked palm that produces edible fruit! 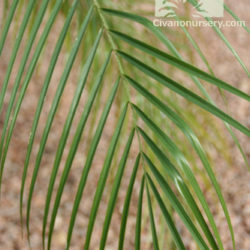 In their younger years, before developing much trunk height, these palms have the distant appearance of a large, fine-textured shrub. 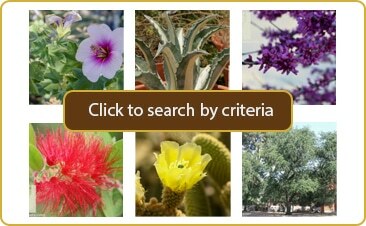 While their trunks are slow to develop, they put on foliar growth much more quickly, which allows them to replace frozen winter leaves early in the spring. 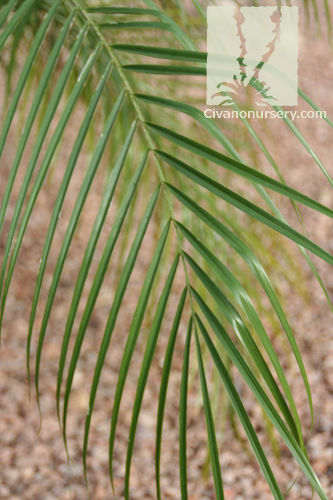 Whether Pygmy Date Palm is grown with a single trunk or with multiple trunks, it makes a sturdy foundation and a strong accent, creating a tangible tropical feel wherever it is planted. 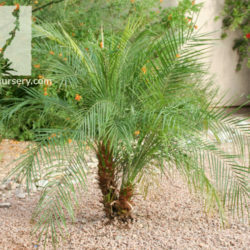 It also stays small enough to grow in large containers or raised garden beds; a feature that few other palms can offer!